Spitting fire over Detroit’s hardest-knocking beats, Molly Brazy is making a name for herself with her tough-talk and songcraft. Rocking an irresistible cadence over a hellraising instrumental from Go Grizzly, Pooh Beatz, and Squat, Molly tells us how she really feels in “Ion Like You (Remix).” Shouting down haters and fakes, Molly recruits L.A. barker AD for a boisterous and aggressive new verse for the Big Brazy highlight. In the video, premiered by ELEVATOR, the two slick-talkers mob in a neon-lit club, joined by YBN Nahmir, as they loudly proclaim their dislike for everyone who doesn’t support them. 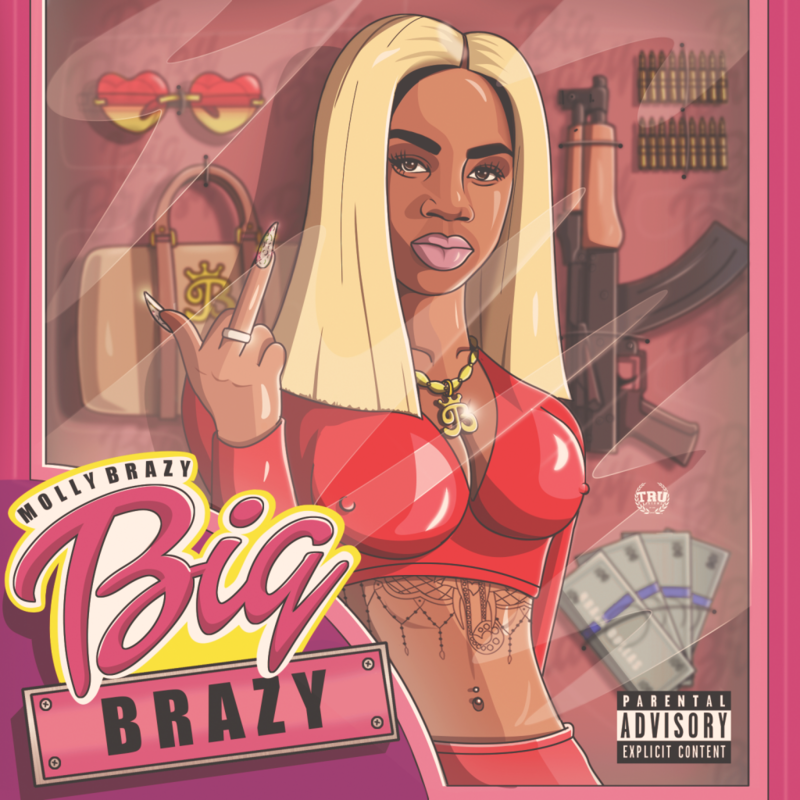 “Ion Like You” is the latest of several videos from Molly’s recent mixtape Big Brazy, including the FADER-premiered “Molly Story,” “Play For Keeps,” “Big Brazy,” “All I Know,” “Trust None,” which earned over 4.3 million views on YouTube, and the “Naan” remix, which featured an appearance from Trina. Gaining traction on the national scene with her preternatural rapping ability, Molly Brazy is looking to turn heads in 2018. Only 18-years-old but already with a loyal legion of fans, Molly Brazy gained notoriety by uploading freestyle videos to Instagram, ballooning her presence to over 874,000 followers. With an additional 265k likes on Facebook, 75k followers on Twitter, and 50k likes on SoundCloud, Molly Brazy is renowned in the streets and on social media for her rapping prowess. In her short career, Molly Brazy has already collaborated with some of the most significant figures in Detroit rap, including BandGang, RJ Lamont, Rocaine, and many others. Molly Brazy and Big Brazy will continue to bring heat to the long Detroit winter.